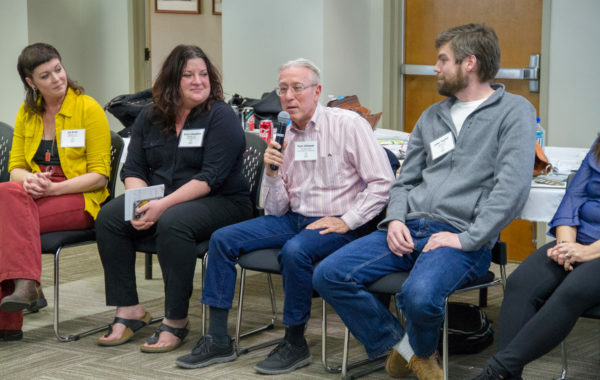 Highlights from the Levitt AMP 2019 Convening! 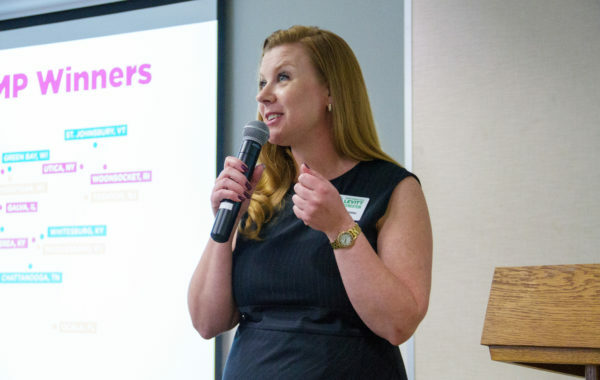 37 nonprofit leaders from 18 small to mid-sized towns and cities gathered in Los Angeles two weeks ago. Here's to invigorating communities through free, live music! 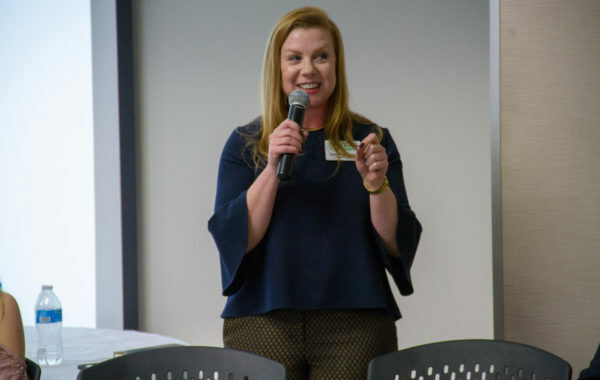 Sharon Yazowski, Levitt Foundation Executive Director, kicks off the 2019 Levitt AMP Convening on January 28. 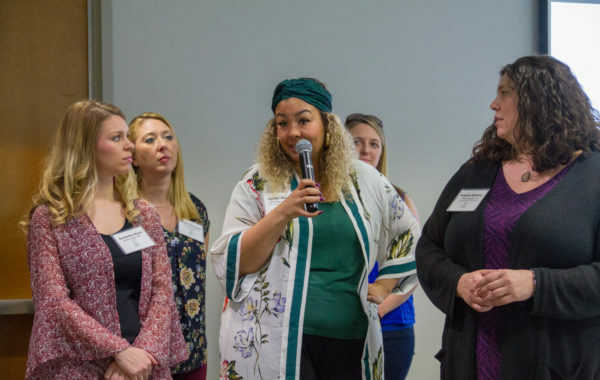 Grantees began the 2019 Levitt AMP Convening with an introductory activity. From left to right: John Taylor (Galva Arts Council, Galva, IL), Tom Campbell (Galva Arts Council, Galva, IL), Tom Gilmour (Trenton Downtown Association, Trenton, NJ) and Steve Ruth (Cowan Community Center, Whitesburg, KY). 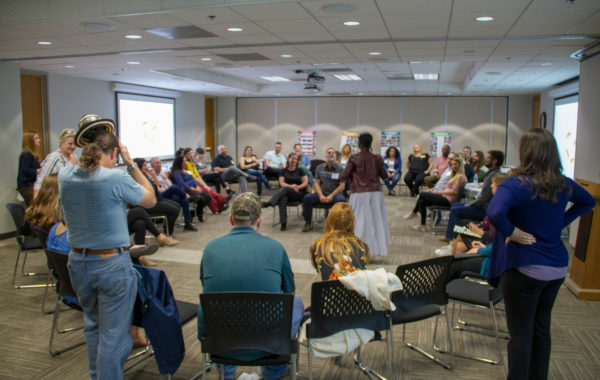 Grantees began the 2019 Levitt AMP Convening with an introductory activity. From left to right: Mary McCubbins (Vision Soldotna, Soldotna, AK), Connie Terry (Earlham Chicks with Checks, Earlham, IA) and Sheila Walk (Springfield Area Arts Council, Springfield, WI). 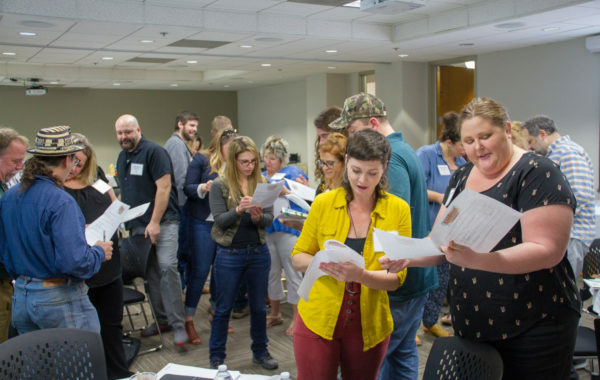 Grantees began the 2019 Levitt AMP Convening with an introductory activity. 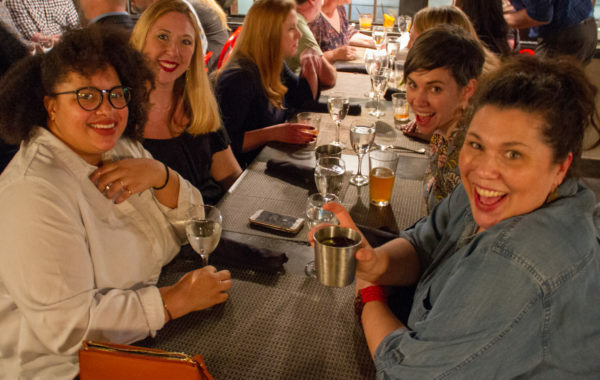 From left to right: Samantha Maass (On Broadway, Inc., Green Bay, WI), Margaux Morisseau (NeighborWorks Blackstone River Valley, Woonsocket, RI), Jamie Haack (John Michael Kohler Arts Center, Sheboygan, WI) and Angela Ramey (John Michael Kohler Arts Center, Sheboygan, WI). Patti Sanchez, Levitt Foundation Senior Director of Programs, presents on artist selection during Day One of the Levitt AMP Convening. 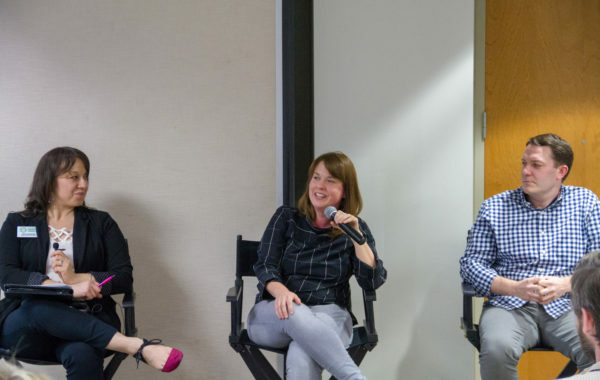 Patti Sanchez (Levitt Foundation Senior Director of Programs) moderates a panel on programming and booking talent with Cindy Cogbill (Director of Programming & Marketing, Levitt Shell Memphis) and Patrick Brogan (Chief Programming Officer & Manager of ArtsQuest Center). Several grantees share their artists booking and programming experience from past years during a panel moderated by Patti Sanchez. Panelists from left to right: Steve Ruth (Cowan Community Center, Whitesburg, KY), Gina Lopez Hill (Brewery Arts Center, Carson City, NV), John Taylor (Galva Arts Council, Galva, IL) and Neal Copperman (AMP Concerts, Santa Fe, NM). Grantees arrive at Le Petit Paris in downtown Los Angeles to close out Day One of the Levitt AMP Convening. 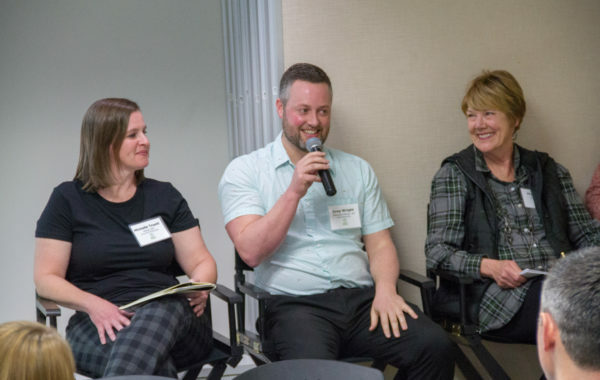 From left to right: Michelle Truett (484 Design, Utica, NY), Shane Morrow (Jazzanooga, Chattanooga, TN) and Gia Marschesani (The HomeOwnership Center, Utica, NY). 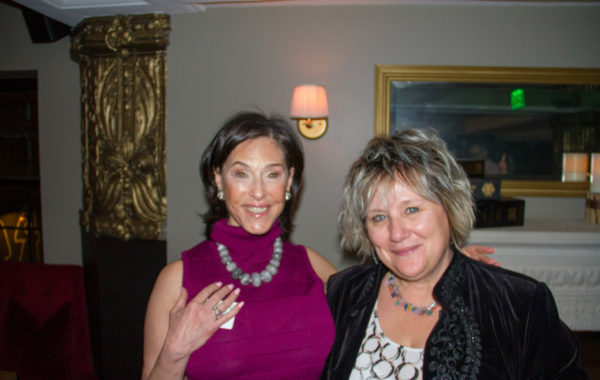 Liz Levitt Hirsch (Levitt Foundation Board President) and Deborah Sorenson (AMP Concerts, Santa Fe, NM) at Le Petit Paris in downtown Los Angeles. 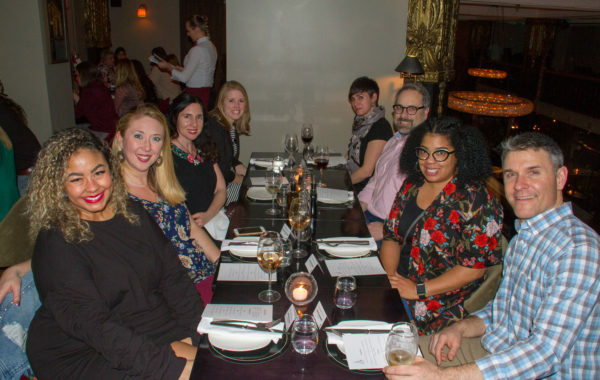 Grantees arrive at Le Petit Paris in downtown Los Angeles to close out Day One of the Levitt AMP Convening. 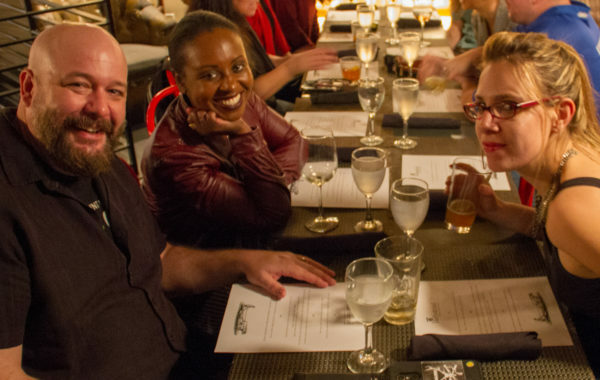 From left to right: Mikey Wiencek (Brewery Arts Center, Carson City, NV), Erica Chambers (Berea Arts Council, Berea, KY) and Ali Blair (Berea Arts Council, Berea, KY). 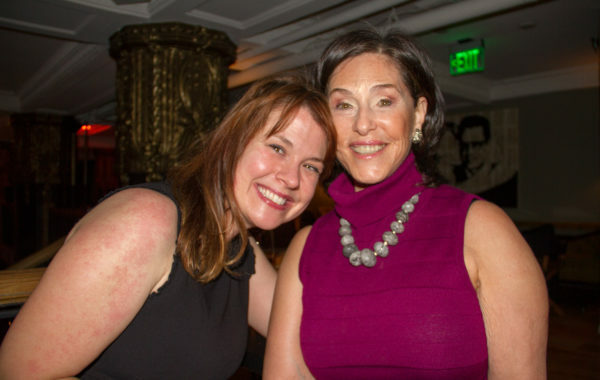 Cindy Cogbill (Director of Programming & Marketing, Levitt Shell Memphis) and Liz Levitt Hirsch (Levitt Foundation Board President) at Le Petit Paris in downtown Los Angeles. At night one of the Levitt AMP Convening. From left to right: Jamie Haack, Margaux Morisseau, Vanessa Silberman (Levitt Foundation Senior Director of Communications & Strategic Initiatives), Sara Slagle (Earlham Chicks with Checks, Earlham, IA), Maggie Marquardt (CREATE Portage County, Stevens Point, WI), Brian Johnson (On Broadway, Inc., Green Bay, WI), Carmen Davis (Jazzanooga, Chattanooga, TN) and Tom Campbell. 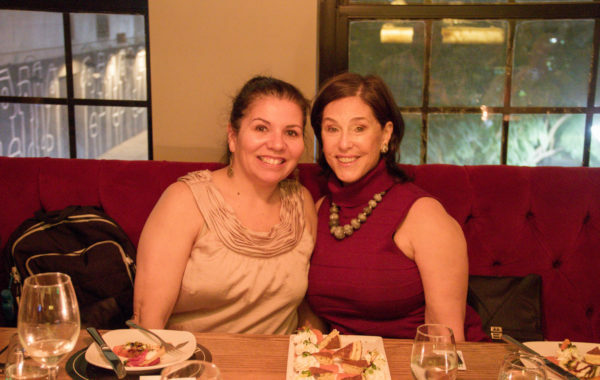 Gina Lopez Hill (Brewery Arts Center, Carson City, NV) and Liz Levitt Hirsch (Levitt Foundation Board President) seated for dinner at Le Petit Paris in downtown Los Angeles. Grantees participate in a group activity on Day Two of the Levitt AMP Convening. 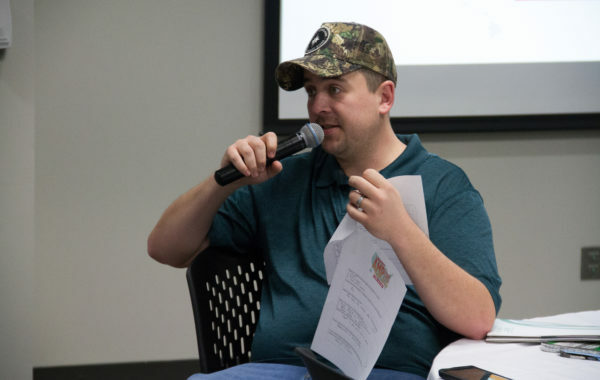 Jon Grace (Bell County Tourism, Middlesboro, KY) during a group activity on Day Two of the Levitt AMP Convening. Ali Blair (Berea Arts Council, Berea, KY) enjoying Day Two of the Levitt AMP Convening. 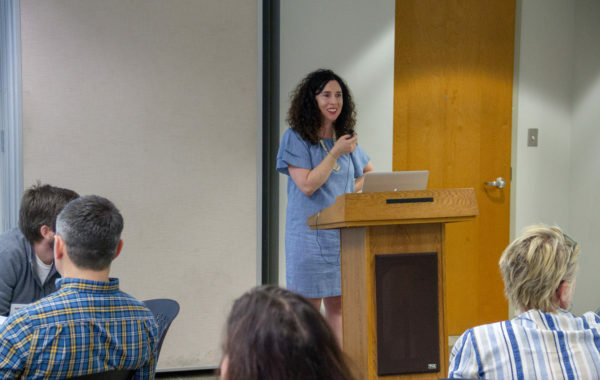 Vanessa Silberman, Levitt Foundation Senior Director of Communications & Strategic Initiatives, presents on communications strategies during Day Two of the Levitt AMP Convening. 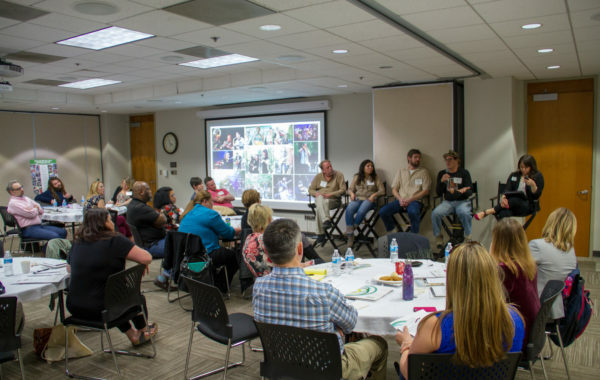 Several grantees share their community engagement and outreach experience from past years during a panel moderated by Sharon Yazowski. 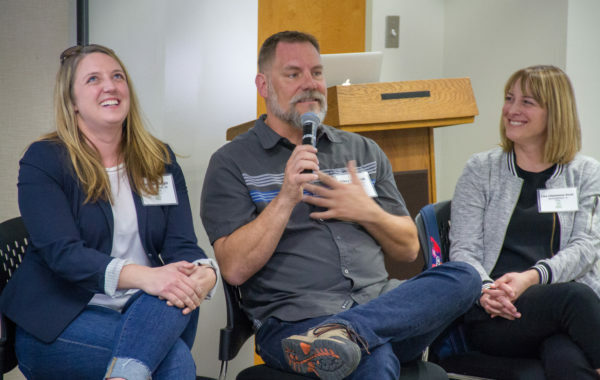 From left to right: Michelle Truett (484 Design, Utica, NY), Greg Wright (CREATE Portage County, Stevens Point, WI) and Jaye Baillie (Marion Cultural Alliance, Ocala, FL). After the community engagement and outreach panel featuring grantee perspectives. 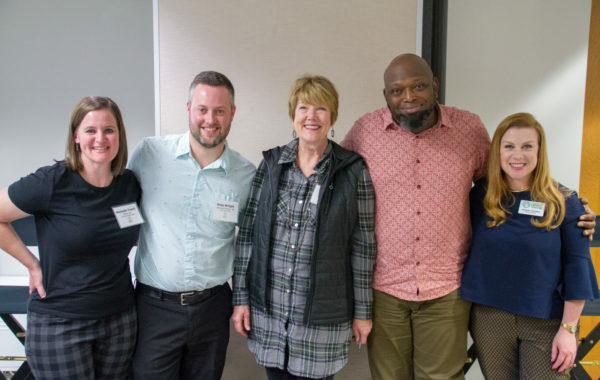 From left to right: Michelle Truett (484 Design, Utica, NY), Greg Wright (CREATE Portage County, Stevens Point, WI), Jaye Baillie (Marion Cultural Alliance, Ocala, FL), Shane Morrow (Jazzanooga, Chattanooga, TN) and Sharon Yazowski (Levitt Foundation Executive Director). Paul Villotti, Director of Life Safety at Henderson Engineers, presents on emergency preparedness in the event of on an on-site incident. Grantees participate in a fishbowl activity on Day Two of the Levitt AMP Convening. Jennifer Normoyle (City of Ocala, Ocala, FL) and Meghan Rego (NeighborWorks Blackstone River Valley, Woonsocket, RI) answer questions during the fishbowl activity. 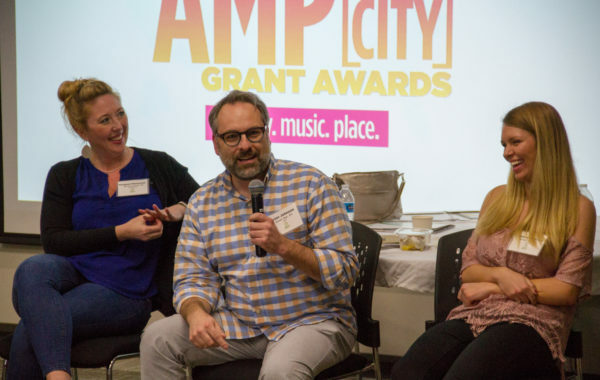 Mikey Wiencek humorously explains his takeaways from this year's Levitt AMP Convening. 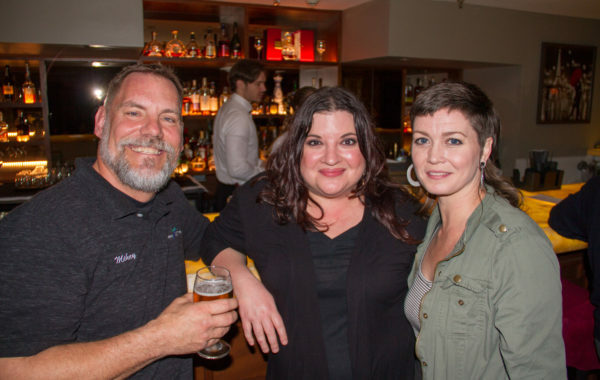 From left to right: Meghan Rego (NeighborWorks Blackstone River Valley, Woonsocket, RI), Mikey Wiencek (Brewery Arts Center, Carson City, NV) and Lisa Clemmons Stott (Downtown Springfield Inc., Springfield, IL). Tom Gilmour gives a heartfelt thanks to his fellow grantees. 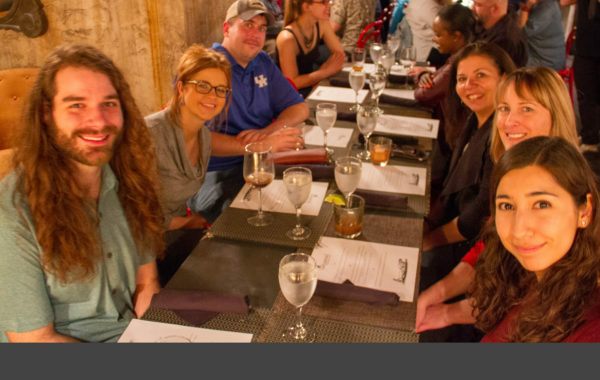 From left to right: Ali Blair (Berea Arts Council, Berea, KY), Erica Chambers (Berea Arts Council, Berea, KY), Tom Gilmour (Trenton Downtown Association, Trenton, NJ) and John Taylor (Galva Arts Council, Galva, IL). 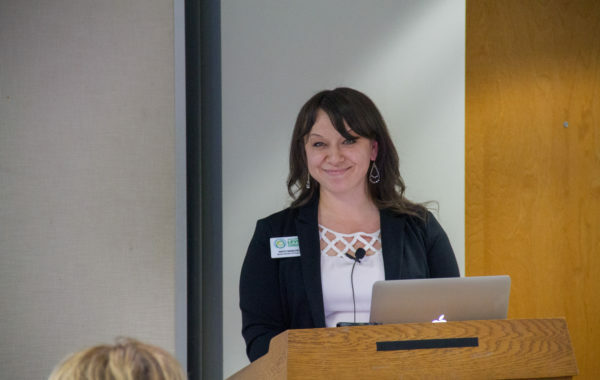 Gia Marschesani gives her takeaways from this year's Levitt AMP Convening. 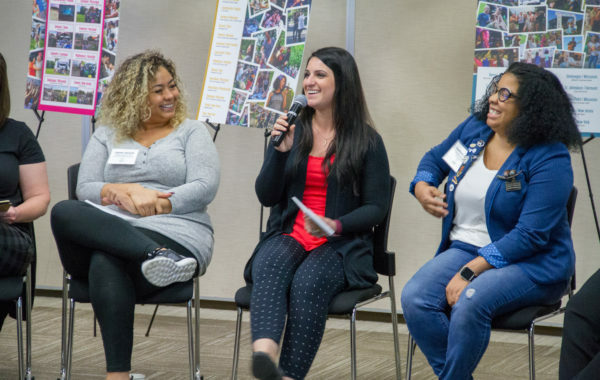 From left to right: Jamie Haack (John Michael Kohler Arts Center, Sheboygan, WI), Gia Marschesani (The HomeOwnership Center, Utica, NY) and Carmen Davis (Jazzanooga, Chattanooga, TN). 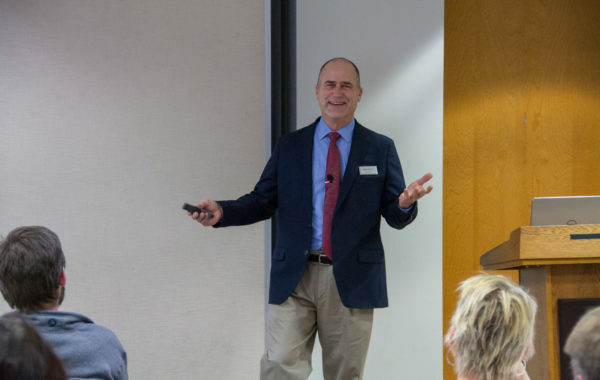 Brian Johnson humorously explains his takeaways from this year's Levitt AMP Convening. 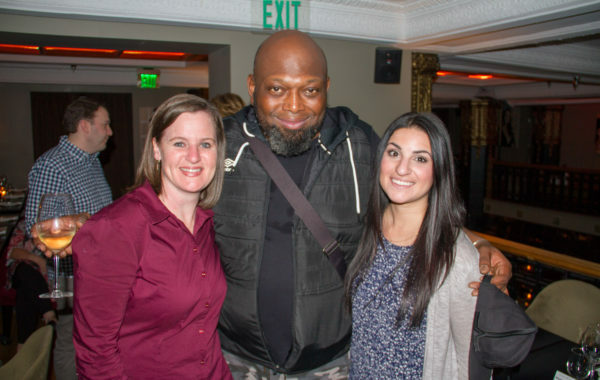 From left to right: Margaux Morisseau (NeighborWorks Blackstone River Valley, Woonsocket, RI), Brian Johnson (On Broadway, Inc., Green Bay, WI) and Samantha Maass (On Broadway, Inc., Green Bay, WI). Sharon Yazowski, Levitt Foundation Executive Director, wraps up Day Two of the Levitt AMP Convening with a thank you to all of the grantees. 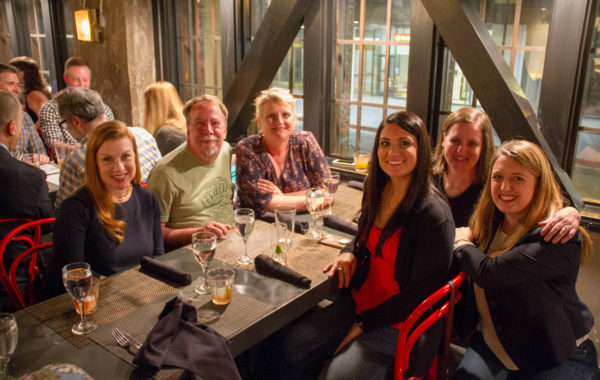 Sharon Yazowski and grantees ready for dinner on night two of the Levitt AMP Convening at Industriel in downtown Los Angeles. 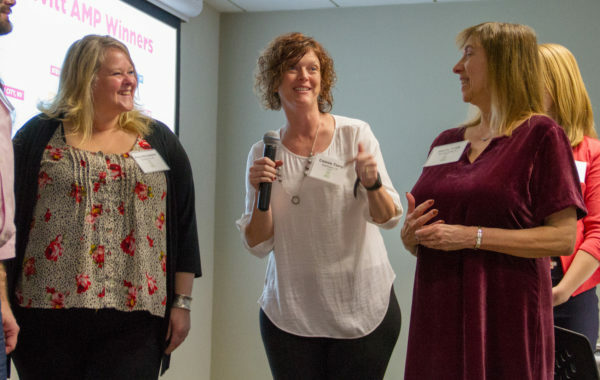 From left to right: Sharon Yazowski, Steve Ruth, Valerie Horn (Cowan Community Center, Whitesburg, KY), Gia Marschesani, Michelle Truett and Meghan Rego. At night two of the Levitt AMP Convening at Industriel in downtown Los Angeles. Looking at the camera from left to right: Meaghan Singletary (Trenton Downtown Association, Trenton, NJ), Margaux Morisseau, Maggie Marquardt and Angela Ramey. At night two of the Levitt AMP Convening at Industriel in downtown Los Angeles. 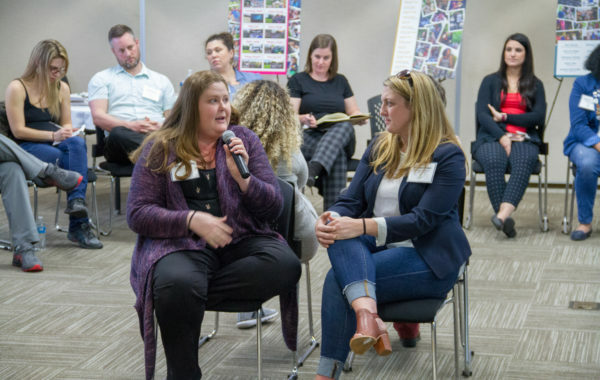 From left to right: Jody Fried (Catamount Arts, St. Johnsbury, VT), Victoria Bridenstine (Levitt Foundation Programs Manager) and Molly Stone (Catamount Arts, St. Johnsbury, VT). At night two of the Levitt AMP Convening. Looking at the camera from left to right: Andrew Heuiser (Soldotna Chamber of Commerce, Soldotna, AK), Emily Ayers (Middlesboro Main Street, Middlesboro, KY), Jon Grace, Gina Lopez Hill, Lisa Clemmons Stott and Ana Cuellar Aguilar (Levitt Foundation Programs Associate). At night two of the Levitt AMP Convening at Industriel in downtown Los Angeles. 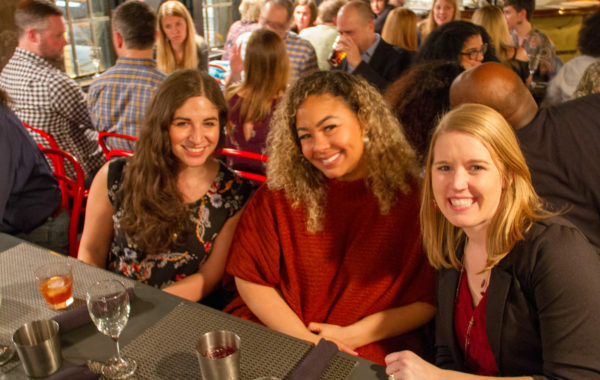 From left to right: Nicole McGaffey (Levitt Foundation Communications Manager), Jamie Haack (John Michael Kohler Arts Center, Sheboygan, WI) and Sara Slagle (Earlham Chicks with Checks, Earlham, IA). At night two of the Levitt AMP Convening at Industriel in downtown Los Angeles. 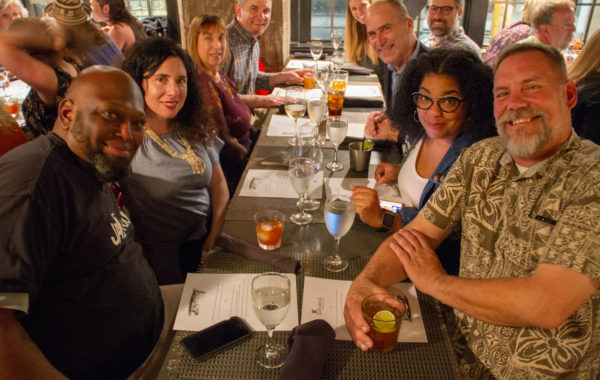 From left to right: Shane Morrow, Vanessa Silberman, Sheila Walk (Springfield Area Arts Council, Springfield, WI), Tom Campbell, Samantha Maass, Brian Johnson, Paul Villotti, Carmen Davis and Mikey Wiencek. 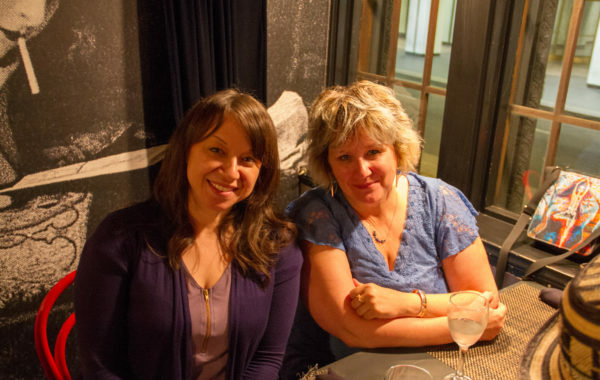 Patti Sanchez (Levitt Foundation Senior Director of Programs) and Deborah Sorenson (AMP Concerts, Santa Fe, NM) at Industriel in downtown Los Angeles. At night two of the Levitt AMP Convening at Industriel in downtown Los Angeles. 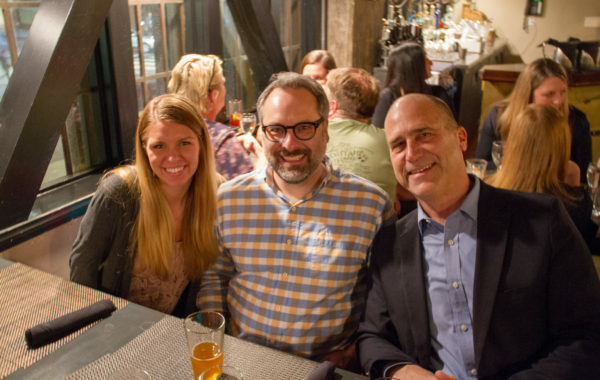 From left to right: Samantha Maass (On Broadway, Inc., Green Bay, WI), Brian Johnson (On Broadway, Inc., Green Bay, WI) and Paul Villotti (Director of Life Safety at Henderson Engineers). 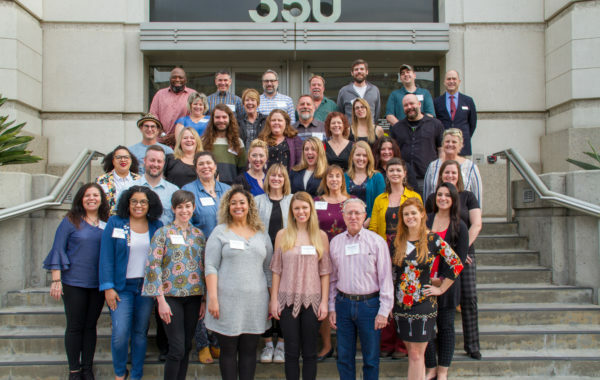 Two weeks ago, the 2019 Levitt AMP grantees joined the Levitt Foundation for the annual Levitt AMP Convening in Los Angeles! It was an honor to host these inspiring nonprofit leaders and share ideas throughout two days of panels, presentations and group discussions. 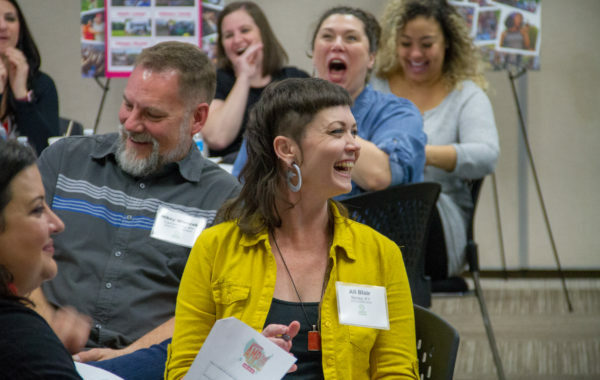 With 18 small to mid-sized towns and cities from Alaska all the way to Florida, this year’s grantees truly represent the breadth of community spirit and placemaking efforts happening across the country. 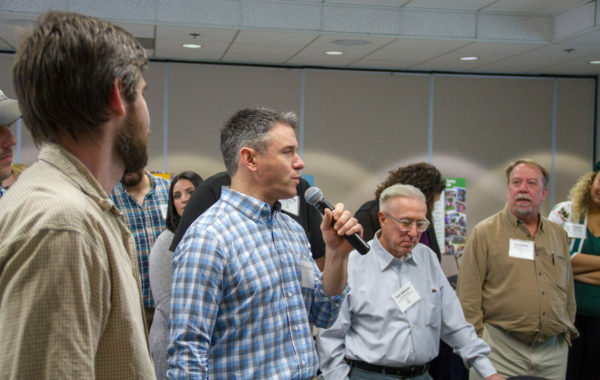 The endless enthusiasm in the room led to fruitful brainstorming, knowledge sharing and meaningful exchanges around the power of free, live music to ignite community change. We can’t wait to see how each Levitt AMP Music Series unfolds this summer and fall! This entry was posted in From the Field, Levitt AMP on February 15, 2019 by Benj Salkind.